Spoiler alert: This review of Lindsay Mendez’s show at Feinsteins/54 Below is going to be an unabashed, totally smitten love letter. Her open, unaffected, thrilling performance transports the audience back to a time when “brassy broad” stars like Dorothy Loudon and Karen Morrow delighted audiences. While there are a couple of concessions to 2019 in the repertoire, the show is mostly filled with strong, solid material that has stood the test of time, even if not all of it is well known. Her big moments are never too big and her small moments are emotionally resonant. She can be a clown, a belter, a storyteller or a comedian when the song calls for it, but she is first and foremost a wonderfully entertaining singer. After energetically opening with “Everybody Sing” (William Axt, Arthur Freed, Nacio Herb Brown, from the Judy Garland film of the same name), she confesses to being a “bona fide Mexican Jewess” with a love for mariachi and musical theatre. Then, introducing it as a torch song (in the eyes of her 6-year-old self), she resurrects “Sam, You Made the Pants Too Long” (Victor Young, Sam M. Louis, Milton Berle, Fred Whitehouse) without a moment of camp or comment, just letting the song have its own life in her capable hands. One of the many miracles of the night occurs next with the A Chorus Line classic “Nothing” (Marvin Hamlisch, Ed Kleban): she breathes new life and laughs into an overdone song by making it part of her life and her story rather than trying to insert herself into the life of the song. “Miss Byrd” (Maltby & Shire) undergoes a similarly exciting resuscitation in her quirky, hilarious delivery. She turns Bob Merrill’s goofily hip “Ooh Bang Jiggly Jang” into a love note to her husband, Philip Wakefield, who happens to the drummer in the band. During his solo, Mendez makes one of the most charming and successful forays into an audience I have ever witnessed. 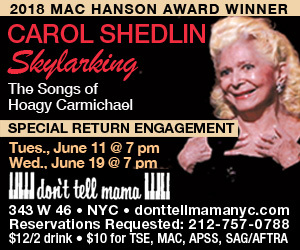 Her inspirations come from far and wide, all filtered through her personal experience: Mr. Rogers, with a gently moving “It’s You I Like”; I Love Lucy, hilariously recreating a Vivian Vance scene-stealer, “Lily of the Valley” (Eliot Daniel); and her own Tony-winning turn in Carousel with a touching, earthy, and, again, very personal “(When I Marry) Mr. Snow” (Rodgers & Hammerstein). “It’s Not That Different” (Tim Rosser, Charlie Sohne), a stunning song written for her for this show, brought tears and cheers and tumultuous applause. She closes with “I Get the Neck of the Chicken,” a specialty number by Frank Loesser and Jimmy McHugh, in which she infuses the humor with a surprising amount of heart. In fact, in much of the show she not only has her heart on her sleeve, but on everyone’s sleeve—it fills the room. She encores with a perfectly nuanced “With So Little to Be Sure Of” (Sondheim, from Anyone Can Whistle). Led by musical director Marco Paguia, the band is spot-on throughout, with talent, taste, wit and subtlety on full display. The arrangements are simply gorgeous. 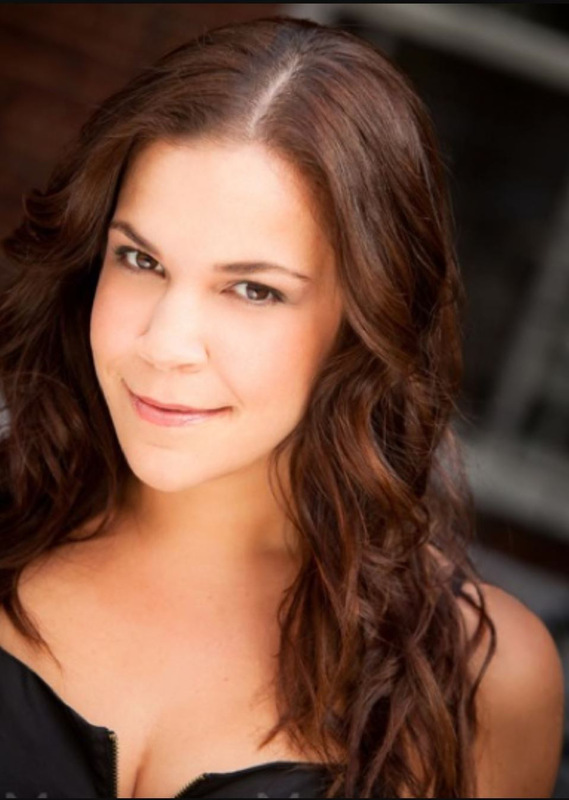 This is as it should be, in support of a singer with the talent and star power of Lindsay Mendez. As I said, I am smitten.